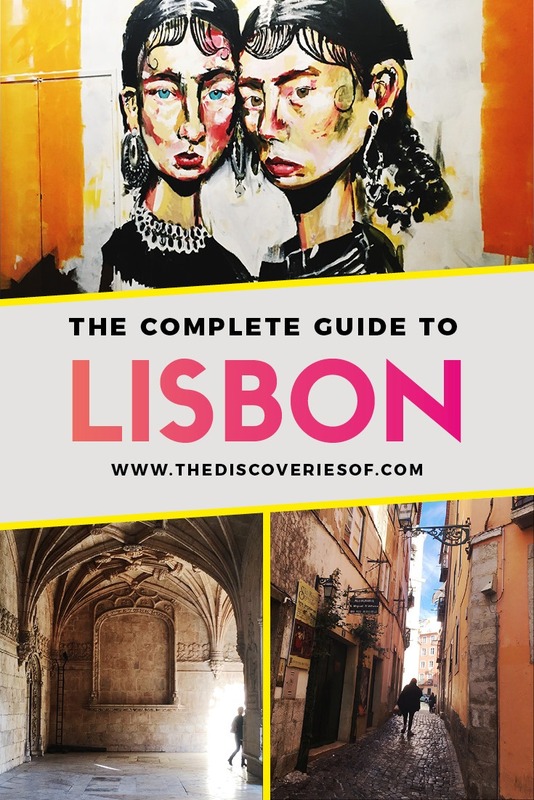 Things To Do In Lisbon: The Ultimate City Break Guide – Discoveries Of. 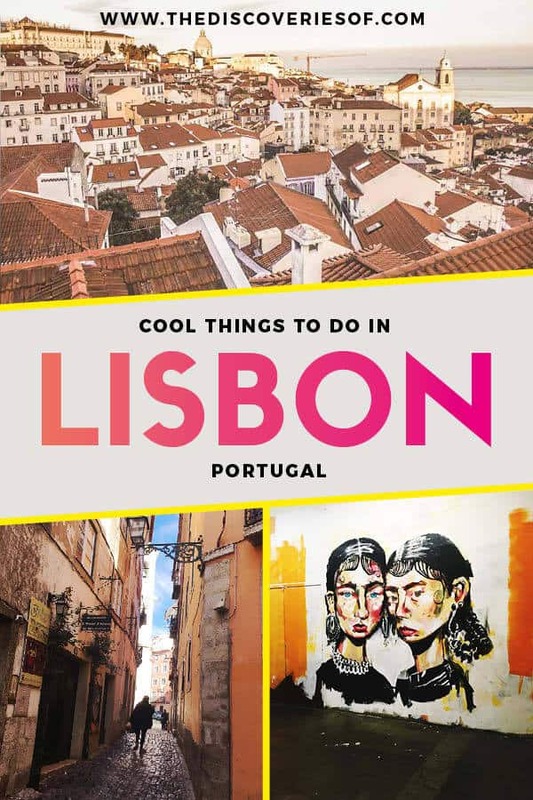 Planning a trip to Lisbon? 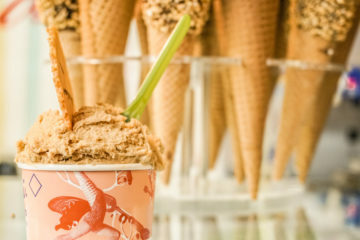 This Lisbon city break guide is packed with must-try restaurants, sightseeing spots and more. Don’t miss the coolest things to do in Lisbon. My recent trip to Lisbon really opened my eyes to what a fantastic city this is. I hadn’t visited for over 15 years and its very much a city transformed. Portugal is such a travel hotspot – travelling to Lisbon should be at the top of your Portugal travel itinerary. 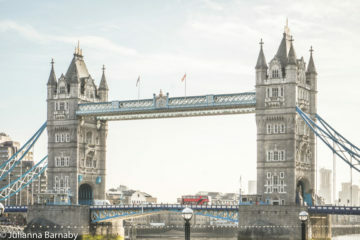 As with any capital city, there are so many options that it can be difficult to know what to do if you’re only visiting for a short period of time. Here are the best things to do in Lisbon: the Lisbon City Break guide. PS, if you’re Looking for more Portugal travel inspiration, you should also read these handy articles. The Jeronimos Monastery lives in picture-perfect Belem and is one of the things to do in Lisbon that you shouldn’t miss during your trip to the city. Set back from the River Tagus, this monastery is a breathtaking piece of architecture and one of the few historical buildings to survive Lisbon’s devastating earthquake in 1755. The monastery was built in the 16th century during the heyday of Portugal’s nautical exploration and no expense was spared on its construction – a fact that’s apparent when you look at the elaborate architecture and sheer scale of the monastery. Wander around the ornate cloisters or the vast chapel and take in one of the city’s most magnificent buildings. 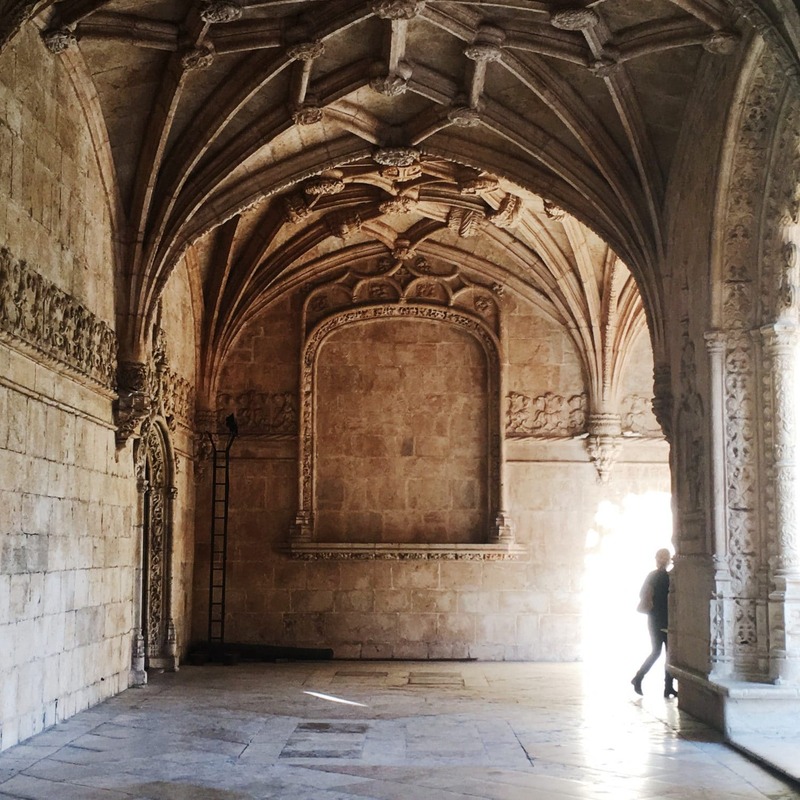 Read my full guide to visiting the Jeronimos Monastery, Lisbon. 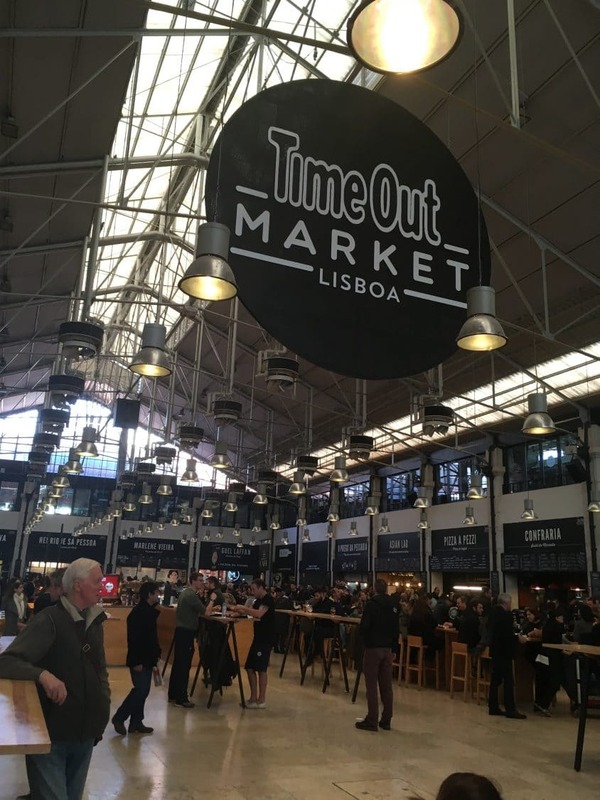 Lisbon’s thriving food scene really comes to life at the Time Out Market in Cais do Sodré – one of the coolest places in Lisbon. Run by the world-famous magazine. the market brings together a variety of Lisbon’s most talented chefs under one roof. Diners can choose from any one of the restaurants and bars. Grab a glass of wine or a cerveja (beer) to accompany your meal and feast at one one of the communal tables. 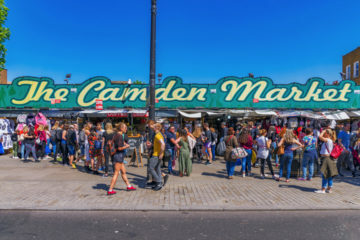 The Time Out Market is the perfect destination for a Saturday or Sunday lunch when you can really appreciate the vast space and the mix of locals and tourists enjoying a leisurely meal. Cervajaria Ramiro is a serious contender for the title of the best seafood restaurant in Lisbon, or perhaps one of Lisbon’s best restaurants full stop. Despite the name, Ramiro serves a lot more than cervejas – it’s been happily feeding the city’s happy residents since it opened in the fifties. Bourdain named it as one of the must do in Lisbon spots – if it was good enough for the late culinary maestro, it’s certainly good enough for me. Seafood is really where Ramiro shines – try the oysters (because there’s always time for oysters), a grilled crayfish or lobster. Finish off with the steak sandwich for dessert (yes you read that right). LX Factory is one of Lisbon’s coolest destinations – with street art galore, a host of restaurants, bars and shops. What was an old disused cloth and textile factory has been transformed into a buzzing combination of young businesses. Check out the events schedule – LX Factory often hosts some of the city’s hottest gigs. Visit in the daytime for shopping and a spot of lunch, then have sundowners on the terrace at the bizarrely opulent Rio Maravilha. Finish up with a gig to round off the night. 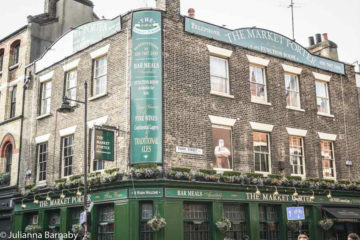 Alternatively, pop in on a Sunday to browse the antiques and bric-a-brac market. Who knows, you might even find something to bring home. Read my full guide to LX Factory here. Street art reigns supreme in Lisbon – it’s clearly a city that embraces its creative side. Nowhere is this more apparent than with Andre Saraiva’s impressive urban mural in São Vicente de Fora. 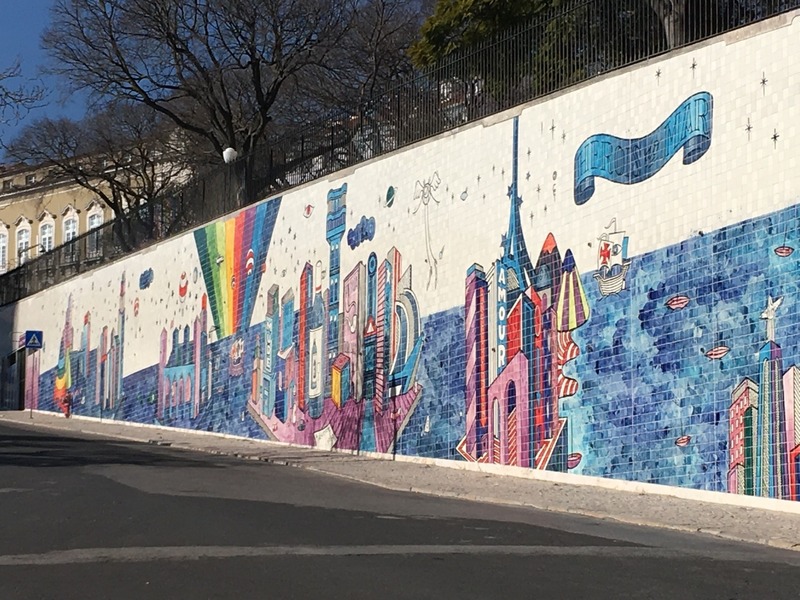 Saraiva spent over two years hand-painting this gigantic tiled mural. It’s made up of over 50,000 tiles and covers an impressive 864 square metres. Bright, colourful and playful, the mural is still pretty under the radar…. for now. Find out why you really should see Andre Saraiva’s street art in Lisbon. Another must-do in Lisbon, Belem Tower (or Torre de Belem) is a historical fortress that was built to guard Lisbon against attack by sea. The tower was built in 1515 and is one of the three must-see historical sights in Belem (the other two being the Monument of Discovery and the Jeronimos Monastery). 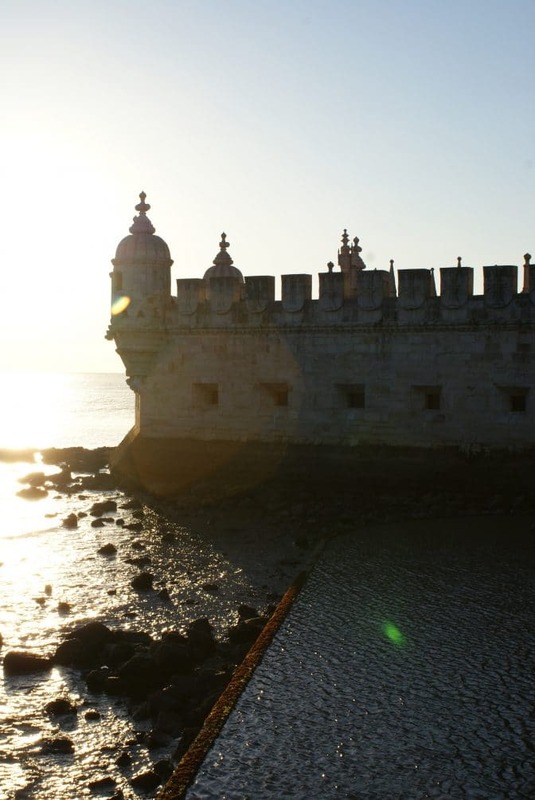 Learn about Portugal’s important seafaring history while taking in the Belem Tower’s imposing architecture. 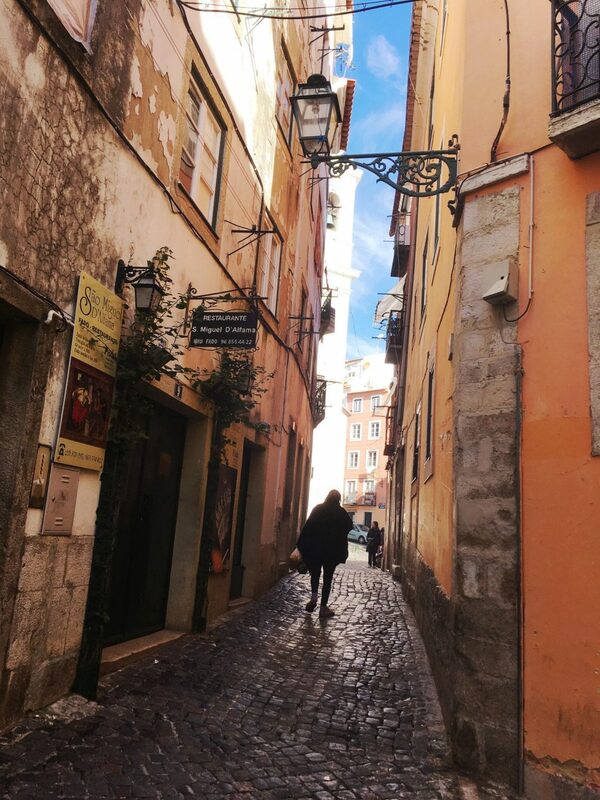 Walking around the narrow, cobbled streets of Alfama is one of the city’s not so hidden secret pleasures. Discover the beautiful traditional Portuguese architecture (Alfama also largely survived Lisbon’s earthquake) and pop into a small bar or two for a taste of home-brewed Ginjinha. At sunset, make your way to Portas do Sol for snap-worthy views of the sun setting over your new favourite city. Don’t forget to pop in for a sundowner too, their terrace is the perfect place to sip on a cocktail and watch as the last light fades from the day. Though technically two separate sights, the Carmo ruins and the elevator are right next to each other so it makes sense to see them at the same time. 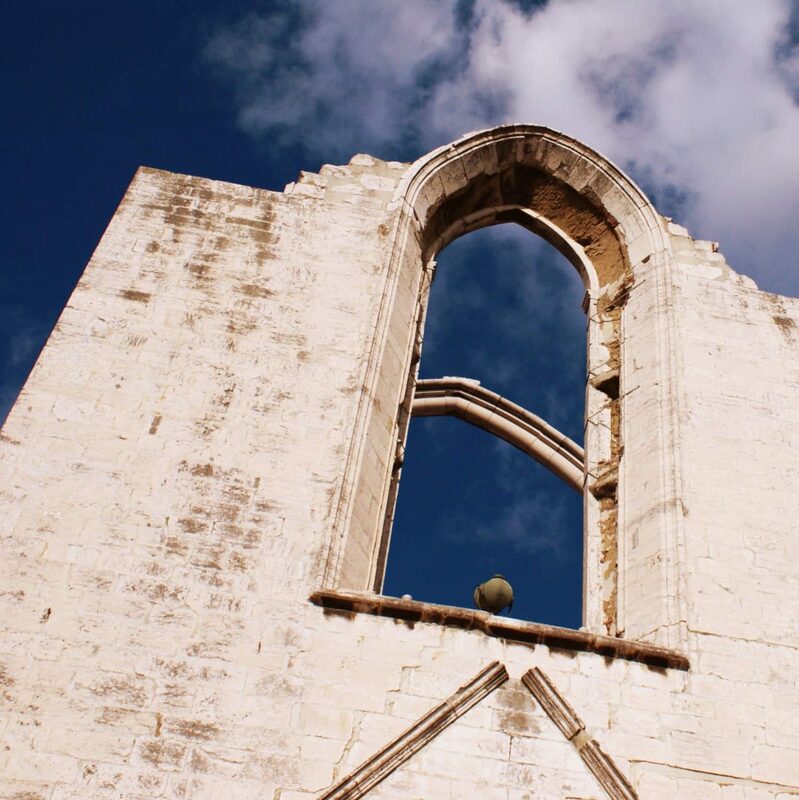 Disembark and you’ll immediately see the Carmo Church and Convent ruins. The church was originally built in the 14th century but was irreparably damaged in Lisbon’s earthquake. It was left standing as a reminder of the damage that was caused and the lives that were lost that day. It’s eerily beautiful and it’s not difficult to imagine its grandeur before it was damaged. The street art scene in Lisbon is very much alive and kicking. 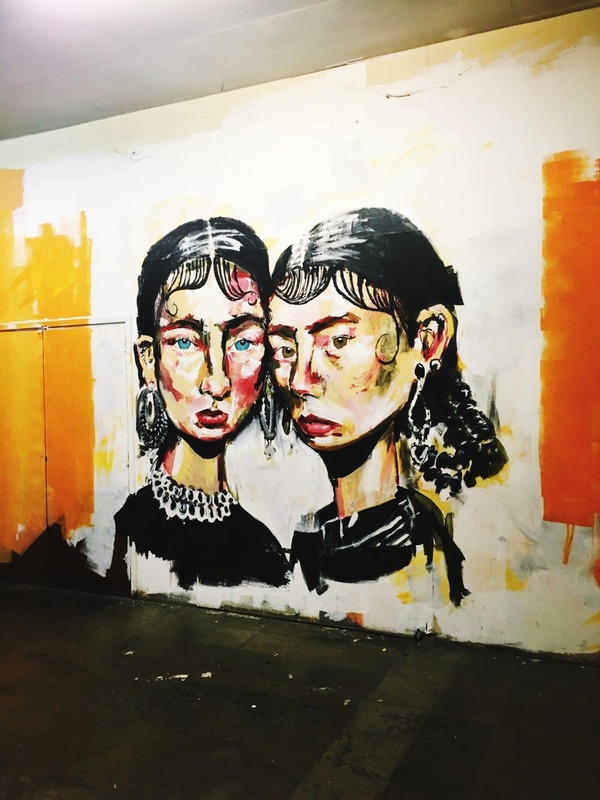 It seems like there’s an awesome (and very Instagram-worthy) piece of street art around every corner. Hunting them out was one of my favourite things to do in Lisbon. I’ve already mentioned Andre Saraiva’s huge mural in São Vicente de Fora but you can also find cool street art dotted around the city. 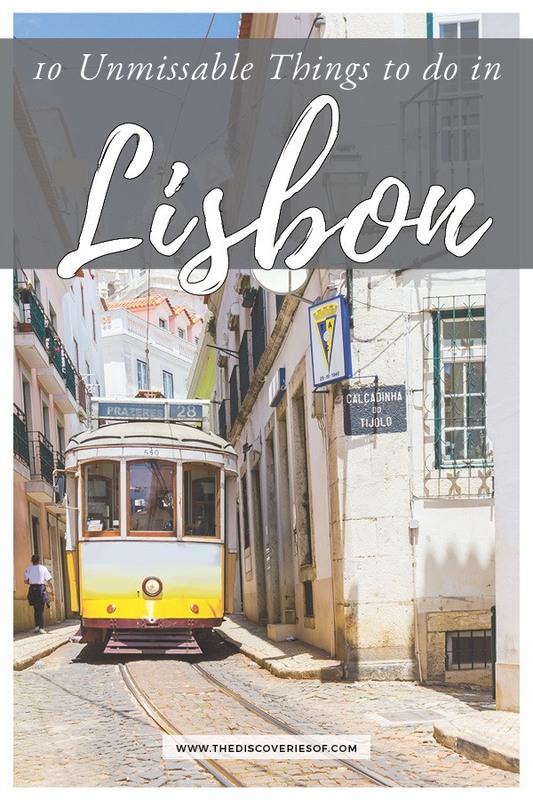 Alfama, LX Factory and the Ascensor da Glória, or Gloria Funicular tram, from São Pedro de Alcântara to the downtown Restauradores Square are the best places to check out while you are in town. 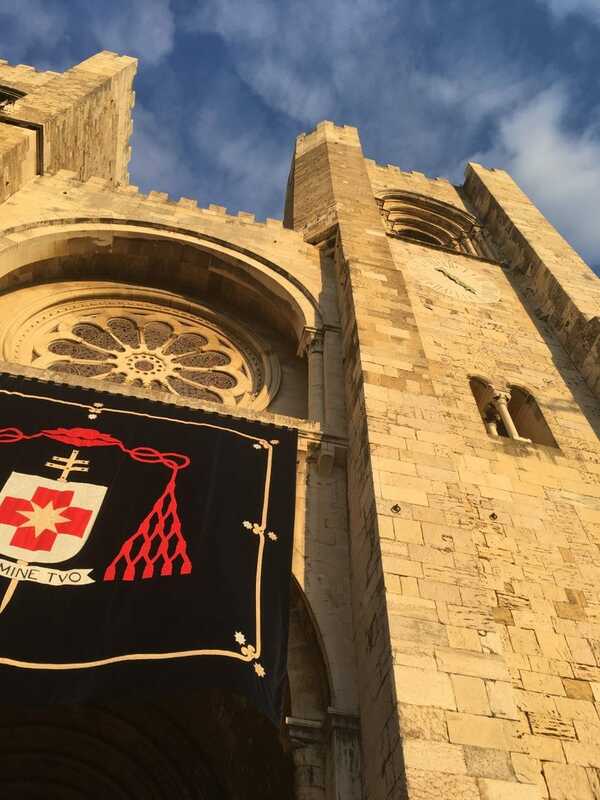 Lisbon’s Cathedral (otherwise known as Cathedral Sé de Santa Catarina) is the oldest church and one of the top things to do in Lisbon. Tucked away in between Baixa and Alfama, the Cathedral has been a central part of Lisbon’s religious life since the 13th century. The fort-like exterior is dramatic and imposing, a pale stonework structure that catches the late evening glow of the sun and reflects its tawny hues as the day ends. Sé Cathedral is one of the oldest buildings in Lisbon and one of the city’s must-see landmarks. 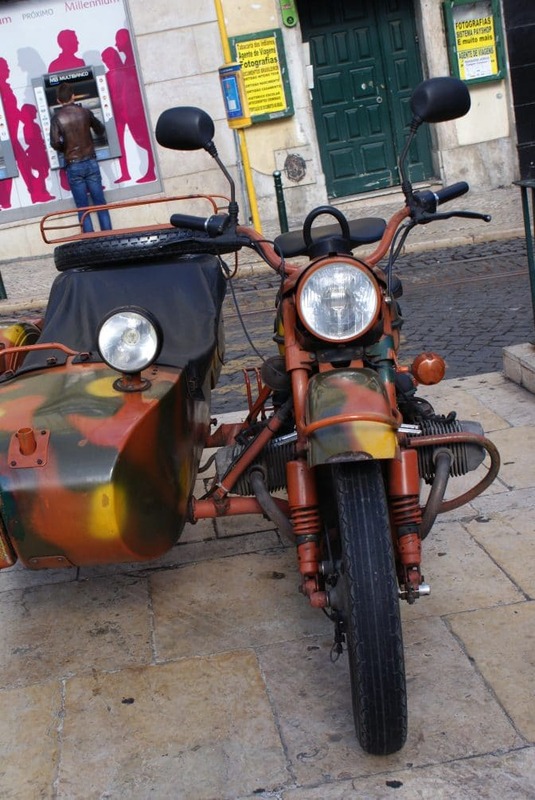 If you only take one tour of Lisbon while you are in town, make it the sidecar tour of Lisbon. Jump into the sidecar (or ride pillion if that suits) on a post-war motorbike and embark on a whirlwind tour of the city. 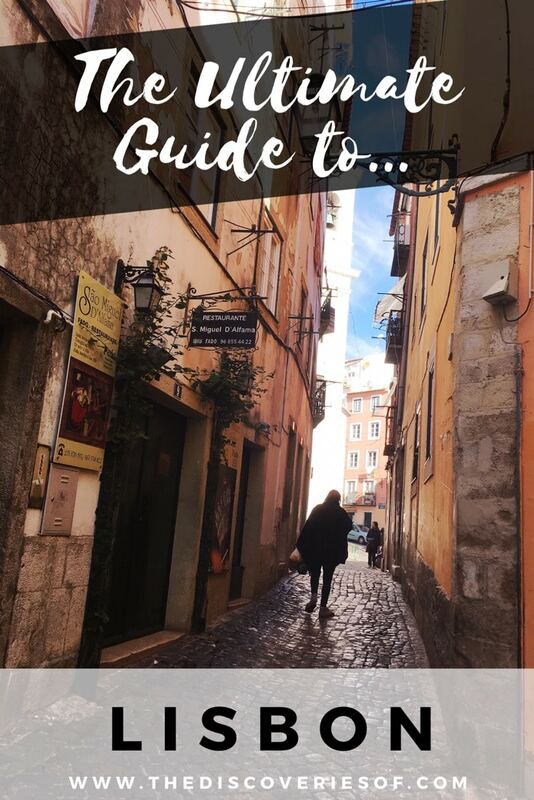 The tours are completely personalised – simply tell the guide what you want to see or what you are interested in and they’ll whizz you around Lisbon while explaining the city’s fascinating history, culture and architecture. The Monument to the Discoveries is also located in Belem, near to the Jeronimos Monastery and the Belem Tower. Sitting on the banks of the Tagus River, it’s a striking reminder of Portugal’s pivotal role in the Age of Discovery. It was erected in 1960 to serve as a homage to Portugal’s past. 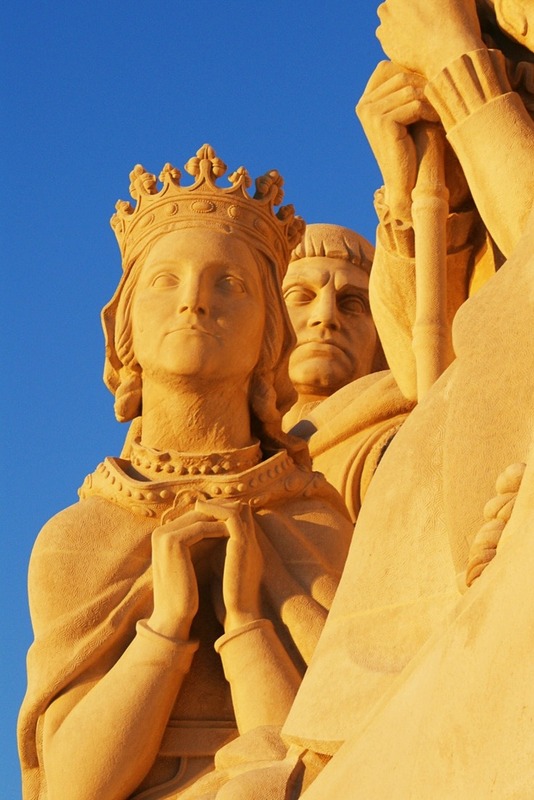 The Monument to the Discoveries features a number of important figures carved into its sides, including Vasco de Gama, Felipa of Lancaster and Camoes. Marvel at the outside of the monument before exploring the interior – don’t forget to head to the top for the amazing views out over Lisbon. 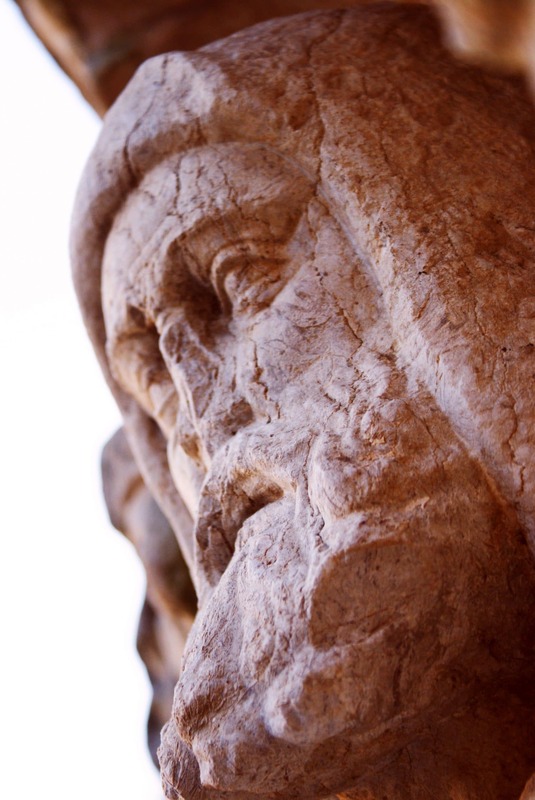 Check out my full guide to the Padrão des Descobrimentos here. So there we are – the best things to do in Lisbon. I hope you have a brilliant trip. If you’re looking for a luxury bolthole in Lisbon, look no further than the Four Seasons Hotel Ritz. 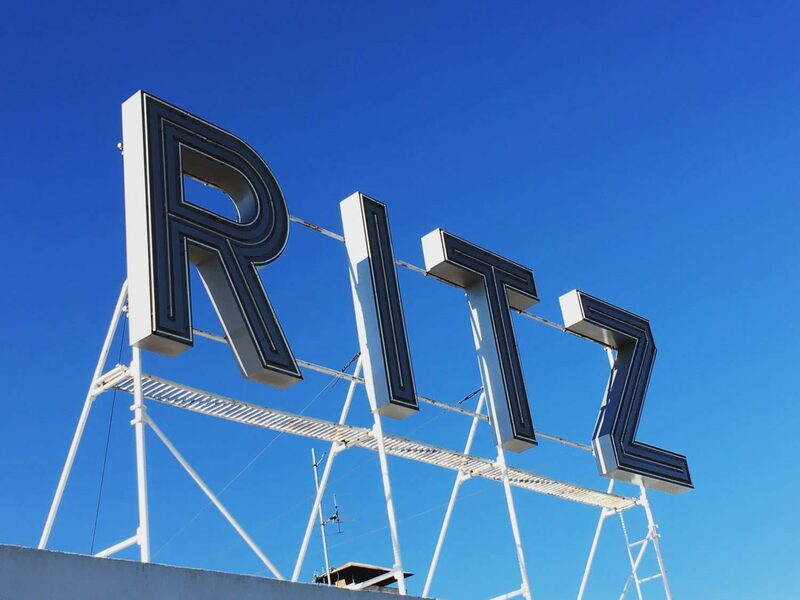 This grande-dame of a hotel has been hosting Lisbon’s finest since the 1950s and is something of a dab hand at it. Relax in one of the individually-designed rooms, then have a sundowner on your private terrace. Book in for dinner at Varanda Restaurant for a fine dining experience unlike any other in the city. Read my full review of the Four Seasons Hotel Ritz here. British Airways fly direct from London Heathrow to Lisbon, or Monach and TAP Portugal fly from London Gatwick. If you’re looking for more Portugues travel inspiration, read about the Benagil Sea Caves in the Algarve on Zigzag on Earth. Thanks for sharing, I loved Portugal and can’t wait to go again in a few months. It’s such a cool place. I’ve been to Porto but not really anywhere else – time to explore!